Welcome to the July / August Newseltter. 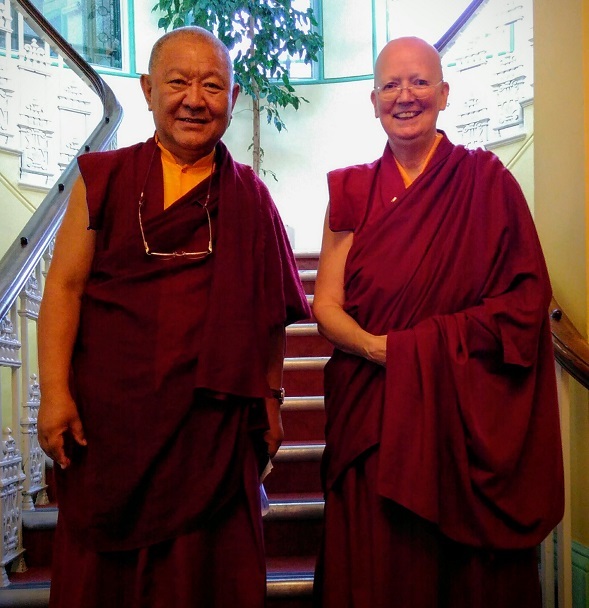 Well, what a few weeks we've just had with visits from both Lama Yeshe Losal Rinpoche, followed only a week later by Ringu Tulku Rinpoche (pictured above with Lama Zangmo). If you were there, try and spot yourself in the photos that are now up on the website, with separate galleries for both Lama Yeshe and Ringu Tulku. And if you weren't there, check out the pictures to see what went on and to spot your friends. Luckily for all those who run the Centre it's going to be a little calmer over the summer, hence this newsletter covering both July and August. However there are still a few things going on. To find out more...read on. SUMMER CLOSURE - The Centre will be taking its annual summer break starting when we close at 9.00 pm on Sunday 24th July until we reopen on Wednesday 17th August at the usual time. The course programme for the autumn - is now up on the website. Check it out if you want to get those dates in your diary right away. Embracing death and dying - our third annual day of celebrating life through reflecting on death takes place on Saturday 29th October. Our previous two events were very successful and we'd like to welcome you all again this year. Plans for Choje Akong Tulku Rinpoche's third anniversay - 8th October. At Samye Dzong London we will have an evening of prayers dedicated to Rinpoche's swift return, with readings from the Mala of Memories. The anniversary will be marked at Samye Ling with the beginning of a practice retreat led by Drupon Rinpoche. 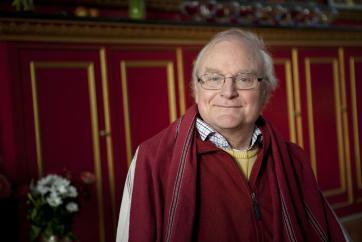 Details of the programme on the anniversary itself can be found on the Samye Ling website. Akong Rinpoche (raincoat and cap), and also Lama Yeshe's old guitar. We heard about all the dedicated members who contributed their skills, food and their time to make this such a fun and successful fundraising event. It is so wonderful to be able to join hands with you and grow our circle of nourishment in helping vulnerable mothers and their new-born babies at Mowbray Maternity Hospital. With your fundraising support we have been able to improve and upgrade the content of our stork bundles which are now each valued at R320. This year we pledged 150 upgraded stork bundles bringing the total cost for these to R48000 ( £2523 ). We have also, for the first time this year, been able to extend our support to 270 destitute mothers by offering them a once off food voucher (valued at R150), the total cost of which is R40500 ( £2129 ). And we made a contribution of R13500 ( £ 710 ) to the hospital transport fund to enable mothers without transport to be able to get back home safely from the hospital. This was a need that was highlighted by the social workers especially among those mothers who are still a little frail from the effects of a cesarean delivery and so we are delighted to be in a position to be able to provide this critical support. With this year's incredible £8000 donation from London we will be able to offer more women stork bundles, greatly improve the value of the food vouchers and make a more substantial donation towards the transport fund at the hospital for 2017. May our circle grow in ever-widening circles in helping where help is needed and may all beings everywhere have happiness and be free from suffering. It is possible to lower our stress, anxieties and increase our self-esteem! We will investigate the thorny subject of "obsessive thinking." This can get us stuck in our own personal realities or even addictions. We get a false sense of security by over-identifying with our thoughts, pigmented by emotions. We will get to the root of the problems and investigate practical ways of overcoming them. As Zen master Thich Nhat Hahn says, ""the best way to take care of the future is to take care of the present!" This will also be a chance to be exploring the benefits of standing and walking meditations (too much sitting is not good for the health!). 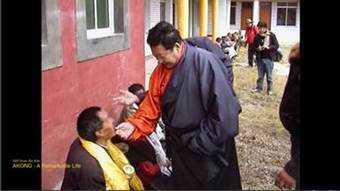 He is co-editor of the books "Taming the Tiger" and "Restoring the Balance" by Choje Akong Tulku Rinpoche. He has a degree in western philosophy, an honorary appointment as Teaching Fellow in the School of Education at Aberdeen University and is involved in teaching MSc Mindfulness. "Taking care of the present" with Clive Holmes takes place on the weekend of 23rd-24th July, 10.00 - 4.00 pm. You can book your place using the PayPal button at the bottom of the event page. Update from Chico Dall'Inha & Team. Following the Private Screening on 24th March 2016 in Samye College Lecture Hall, we invited the guests who had seen the film to provide feedback and offer suggestions. Since then Chico has been engaged in making minor corrections, finishing the audio mixing and editing the final version of the film which is now just over 90 minutes long. It really is amazing to see just how much work is involved in the many stages of bringing a project like this to completion and we are constantly aware of the honour and the responsibility as we try to capture the story of Rinpoche's life. Chico will soon be starting to work on a trailer based on excerpts from the film which can be used for promotion as we start to publicise the film's release. We have applied to show "Akong - a Remarkable Life" at a number of International Film Festivals this autumn. It is important to do this before the general release otherwise the Film Festivals will not be as interested. From December or January onwards we hope to show the film at a series of special events to be hosted by friends and students of Akong Rinpoche in Dharma centres and other suitable venues throughout the world. We are really looking forward to making the story of Rinpoche's life available to as many people as possible and hope that many of you will be able to help by spreading the word and possibly organising an event where it can be shown. Join us every Sunday morning at 8am for Green Tara practice. As the Centre's main doors are not open until 9.00 am, please arrive in time to be let in before the puja starts. Video teachings with His Holiness Gyalwang Karmapa, Ogyen Trinley Dorje, covering topics relevant for both beginners and more experienced practitioners. Suitable for all. This Introductory Teaching Skills course is for anyone who has completed the Mindfulness Practitioner Certificate course or Mindfulness One Year training and who would like to develop their teaching skills as a facilitator of secular Mindfulness training courses. The centre will close after Chenrezig puja on Sunday July 24 and will reopen at 14.00 on Wednesday August 17.